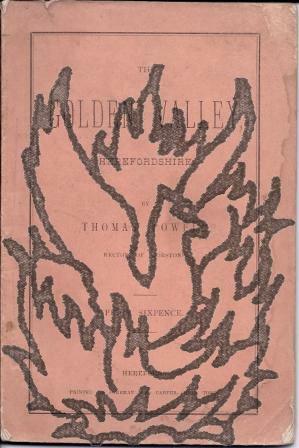 Typescript, marked 'Producer's Copy', of the play 'Ghost for Sale', with manuscript addition to ending. In manuscript on front cover: 'Return to 40c Palace St: London S.W.1'. Undatd. From Pinker's Play Bureau, Talbot House, Arundel Street, Strand, London, WC2. 147pp., 8vo. 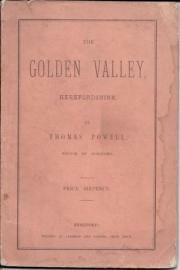 In fair condition, on aged paper, with rusty binding, in worn covers. 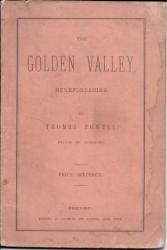 In manuscript on the cover are the return address and 'Producer's Copy'. In the same hand is an addition to the ending: 'Judy | Then there is a ghost' | Geoffrey | Not a word to your father'. 'Who's Who in the Theatre' records a production of the play in 1938, but there is no reference to it on either OCLC WorldCat, or on COPAC. [Pamphlet.] 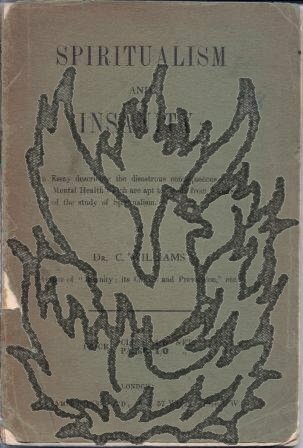 Spiritualism and Insanity: An Essay describing the disastrous consequences to the Mental Health which are apt to result from a pursuit of the study of Spiritualism. 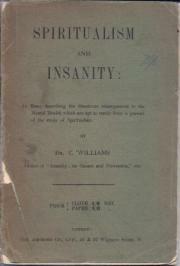 By Dr. C. Williams, Author of "Insanity: its Causes and Prevention," etc. 12mo, 53 + [iii] pp. Text clear and complete. 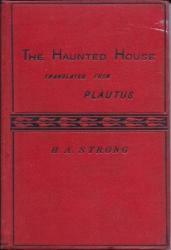 Aged and worn, with loose original front cover, printed in green, remaining from the binding. Stamp of 'The Community of the Resurrection' on title-page. A few manuscript notes in light pencil. 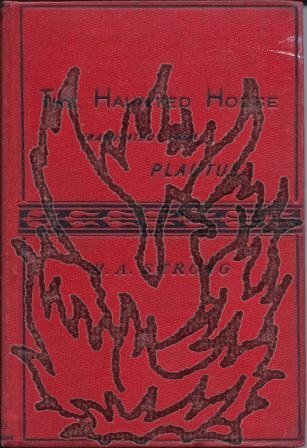 Scarce: five copies on COPAC, at the British Library, Oxford, Cambridge, the National Library of Scotland, and University of London, variously dated to 1909 and 1910. London: Richard Bentley and Son, 1872. xxxviii.80pp., 8vo, printed red cloth, slight hinge strain, endpapers discoloured, cover has minor defects, but is attractive. A drama. Scarce: COPAC lists only the BL copy but WorldCat lists five other British repositories.